At Studio G, we design spaces for a wide spectrum of ages, ranging from early childcare facilities to senior centers and just about everything in between. Recently we’ve been studying the impact of blending these age groups under one roof. The result? Multi-generational design. For us, multi-generational design (also called intergenerational or mixed-age design) means creating shared spaces that accommodate several age groups, embrace universal design principles for the full variation of human abilities, and enrich the lives of inhabitants through meaningful social interactions. We believe this concept has tremendous potential – and we’re not alone. With an estimated 44% of Americans caring for both an aging parent and a young child, the need for quality multi-generational care is apparent. More than 500 programs currently exist nationwide, and the numbers are increasingly rapidly. And for good reason – the mixing of generations has been shown to have significant benefits for both populations. In a new child development study, preschoolers who had regular contact with seniors were 11 months ahead of children in standard day care in their ability to name emotions, work cooperatively, and participate in social activities. In addition, researchers found that seniors suffering from mild or moderate dementia and depression showed noticeable improvement in their moods and symptoms when they spent time with children. 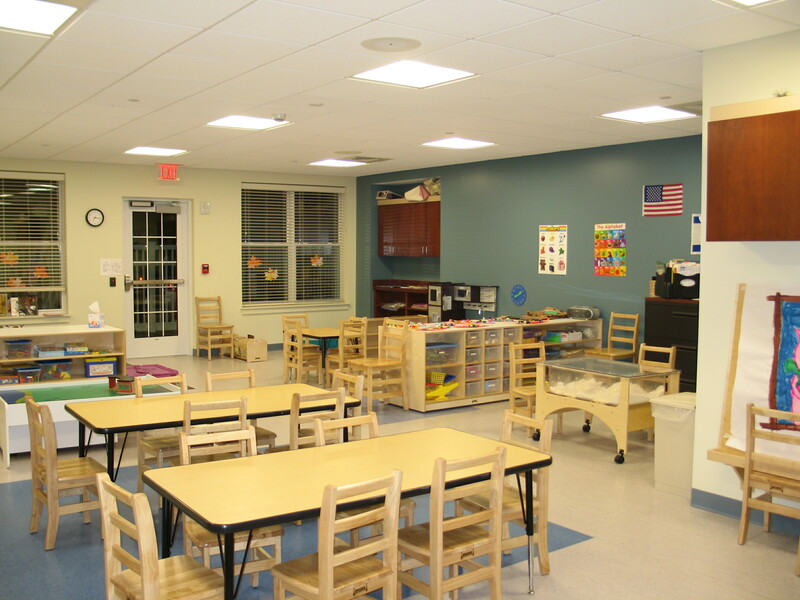 This fall, Studio G completed construction for the North Suburban JCC Early Childhood Program, a childcare facility at Aviv Centers for Living in Peabody, MA. The colorful and brightly-lit teaching and learning spaces accommodate 58 children. The child care center’s location near the senior center lobby, with large interior windows, encourages interaction and respect between the children, staff and elderly residents. 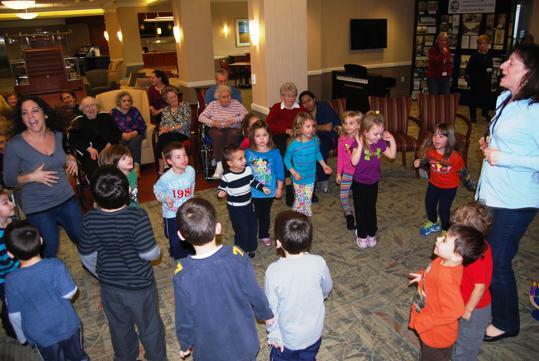 That connection is enhanced by programming where seniors read, sing, dance, exercise, and celebrate holidays with children. “It’s incredibly important that Aviv be a center for life, a center for learning, a center where elders and children can learn from each other,” said Stephen Neff, Aviv’s president and chief executive officer. ← Design Library: Celebrating World Book Day!